Building on the the 2017 conference, People Get Ready II will feature penetrating analysis of the current political landscape and the balance of power, along with exploration of effective strategies for beating back the Trumpist assault, advancing the work of grassroots movements, and building a more united and influential Left. 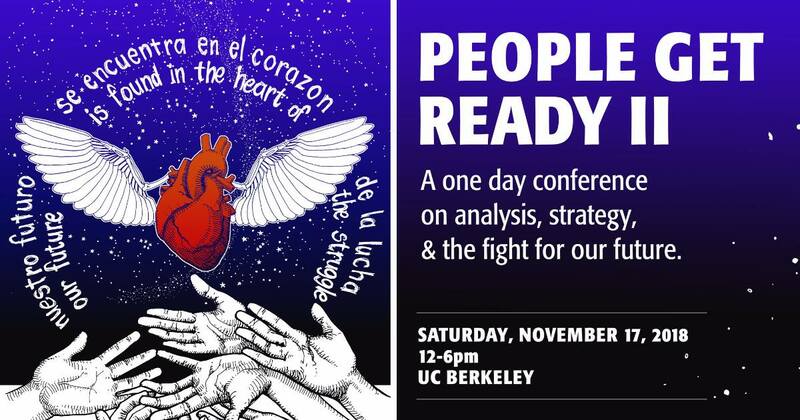 On January 14, 2017, just days before the inauguration of the disastrous Donald Trump regime, the The Center for Political Education hosted the People Get Ready conference in Berkeley. Billed as a gathering for “analysis, strategy and the fight for our future,” People Get Ready brought together 600 organizers, activists and community members.